A frequently asked question by prospective customers concerning the many types of Garden Summerhouses, Garden Gazebos & Garden Arbours available from Victorian Garden Buildings, is deciding which option will ‘be best for my garden and intended use?’ Although each building shares much in common, ie all are bespoke, designed to suit each customer’s individual requirements, high quality Garden Buildings, hand crafted and installed by experienced crafts people, each made from Western Red Cedar, it is understandable why sometimes selecting one from our many offers available for Garden Summerhouses, Garden Gazebos & Garden Arbours is sometimes not so simple or straightforward. Essentially our Product ranges fall into 2 Categories ie Garden Buildings (Garden Summerhouses, Garden Gazebos) and Covered Seating (Garden Arbours). The main difference between Garden Summerhouses and Garden Gazebos is the former is a fully enclosed garden building providing shelter and protection from the elements. Garden Gazebos whose origins can be traced back to Japanese Tea Rooms are usually more open garden structures, typically with a roof and a limited amount of side usually ornamental protection. In many instances Garden Gazebos are usually preferred by home owners and keen gardeners wishing to add a new focal point to the garden, to complement the planted areas and be used as an occasional seating. 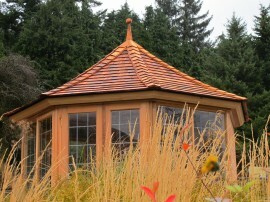 In such cases, the primary role of Garden Gazebos is more aesthetic rather than functional. 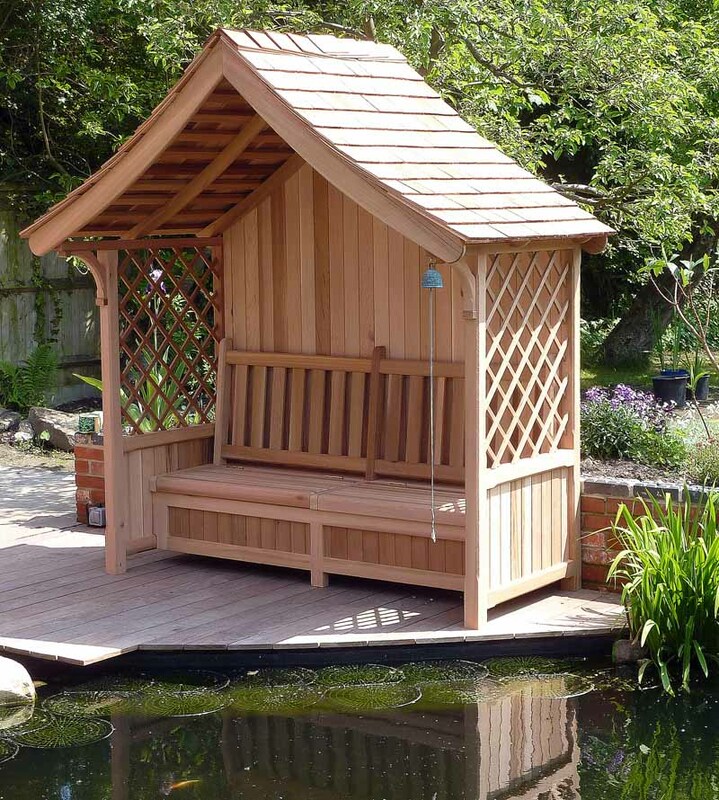 In contrast Garden Summerhouses offer both an architectural focal point but also a very important functionality, ie a sheltered and protected area to sit, relax, and enjoy individual hobbies including music, painting, planting, even home office and outdoor dining. 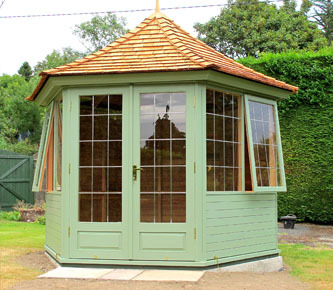 Although size can be very important, it tends to be less critical for ornamental Garden Buildings like Garden Gazebos whereas for Garden Summerhouses it is vital that the size of the building is sufficiently to facilitate the intended use. Our range of Garden Arbours are ideally suited for gardens with limited spaces in which the homeowner is seeking to add a distinctive seating are and an architectural focal point. 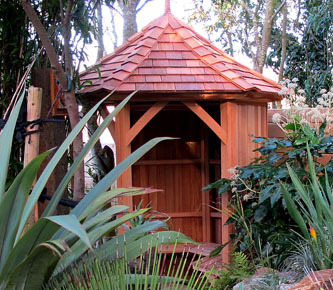 Garden Arbours are very impressive garden buildings or structures and size appropriate for the smaller gardens. They provide excellent comfortable seating with some sheltered protection from the weather elements as well as being an impressive seating area. The design of Garden Arbours is ideally suited to be space efficient without any compromise on their aesthetic appeal and/or functional importance. To find out more, please visit www.victoriangardenbuildings.com or to arrange an appointment to see our Dublin display tel 087 – 2306 128. 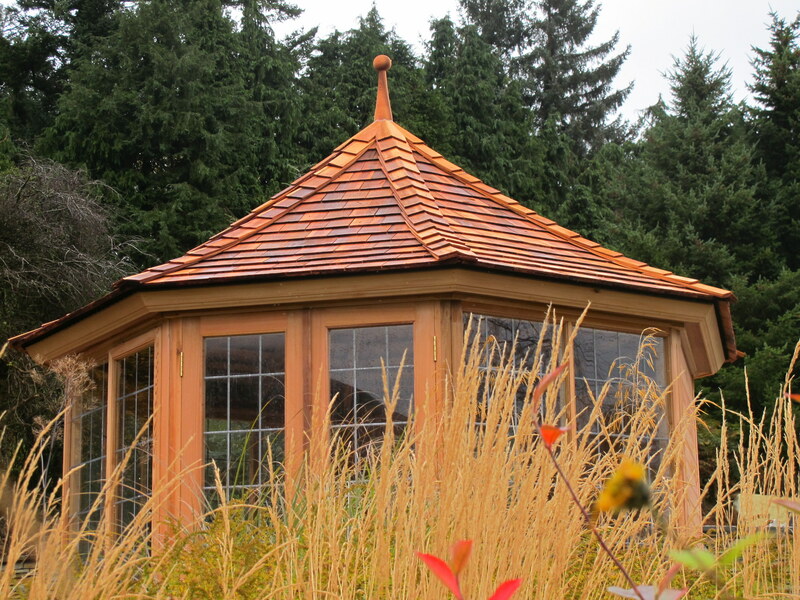 For more information on our Garden Gazebos, Summerhouses and Arbours or to arrange a free on-site consultation please get in touch.